Maybe, that’s the case, but how do you keep your child safe? Before you purchase a phone for your child, we asked Jody Hawkins, Information Systems Security Officer for Cook Children’s Health Care System in Fort Worth, Texas, for a few tips on children owning (or not) a cell phone. Q: Should I give a cell phone to my child as a gift? A: Jody advises against cell phones as gifts. He believes parents can establish better boundaries if the phone is presented to the child as belonging to the parent. The parent sets the rules, monitors and guides the child on how to safely use it. A good way of monitoring what apps are installed is to not allow the child to have the password. If the child wants a new app, the parent must enter the password. Q: Is everything my child posts on the Internet permanent? A: Yes, for the most part. Some apps and sites have security settings that can be set to “private;” however, these take constant monitoring. Regardless of the site or the settings, if someone can share the post, it becomes very permanent. Once a post is shared, you lose control over the content. Potentially everything your child posts online can be seen now and years to come by people like college recruiters and potential employers. 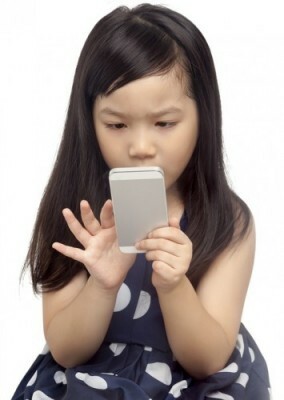 Q: How can I limit who my child texts? A: Most of the larger carriers allow you to limit data, text, and calling per individual phone on the account. Parents can contact their cell phone service provider or go to their online account to see what controls are offered. If you have more questions about cell phones and keeping kids safe, please let us know.